Click on an application to launch it. Below is an example of the Word program open online. To save, click on the File menu and select "Save as". You can give the document a name of your choice. As you work on the document, Word will automatically save the changes. Documents are stored in OneDrive. To see a list of your documents, select OneDrive from the available Office 365 applications. 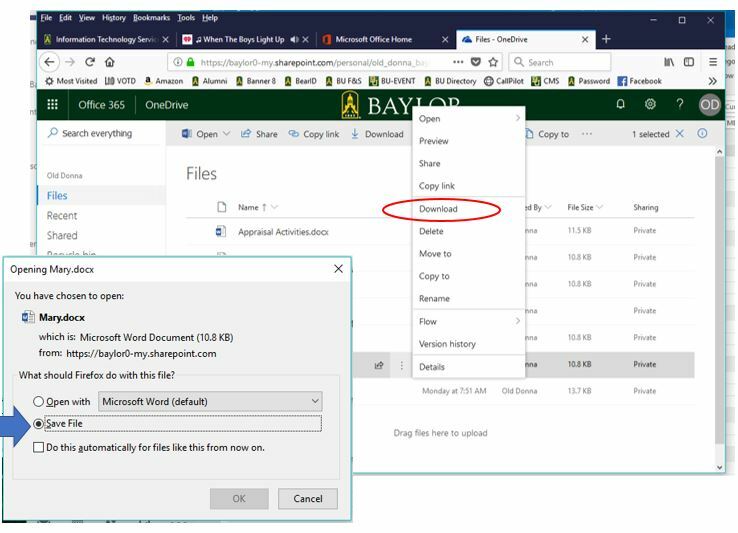 If you want to open a document stored on your desktop or from another location, such as a flash drive or your computer, click the "Upload and Open..." button and navigate to the document to open. 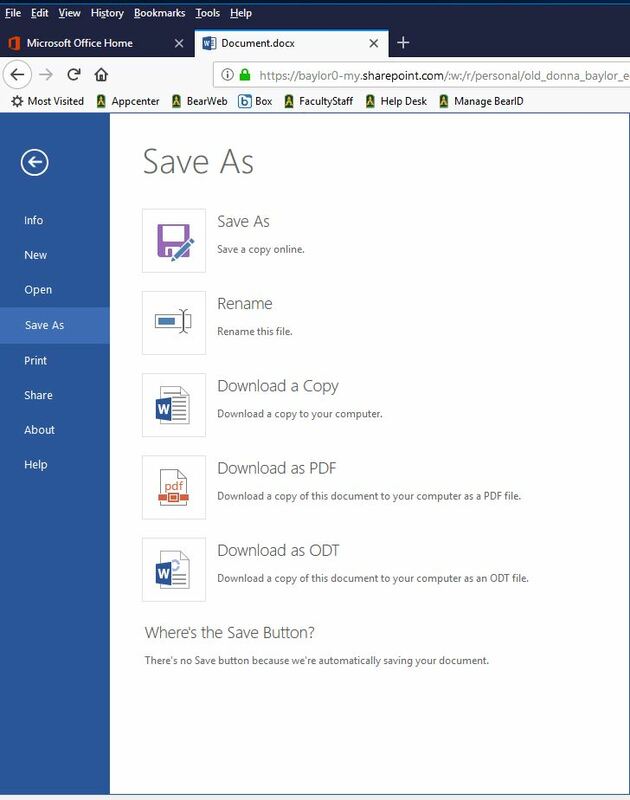 If you need a document from OneDrive on your computer, you can download the file. 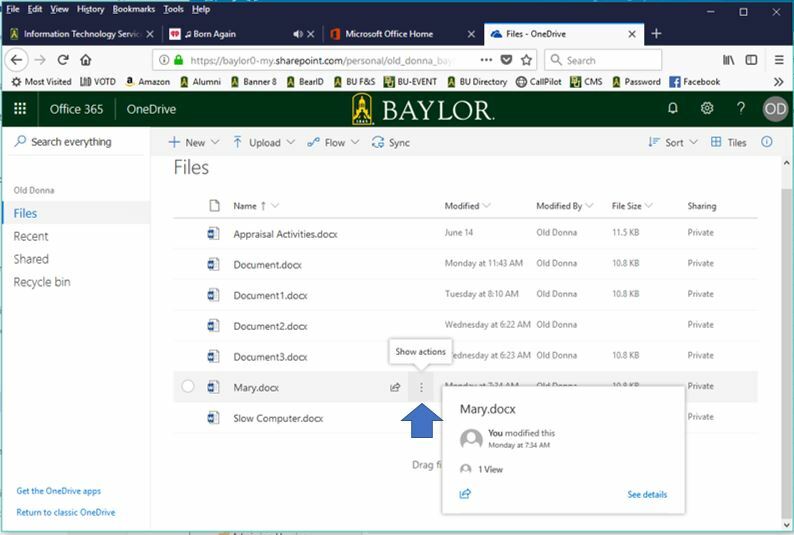 From OneDrive, find the document you want to download and click on the three vertical dots that appear when you mouse over the document (see blue arrow below). From the pop-up menu that appears, select "Download" and select "Save File" from the dialog box that appears. The document will be placed in the folder that is designated to receive downloaded files, most likely your Downloads folder. Contact the Help Desk at 254-710-4357 if you have any questions.